Manama: Algeria’s presidential elections will be held on April 18, according to a decree announced on Friday. Under Algeria’s election rules, the date of the presidential polls has to be announced three months before they are held and the fourth mandate of President Abdul Aziz Bouteflika Bouteflika, who has been at the helm of Africa’s largest country since 1999, ends on April 18. The decree, signed by Bouteflika, stated that the lists of the voters would be reviewed from January 23 until February 6. The announcement puts an end to speculations that gripped the North African country for months about whether the elections would be postponed due to the complex internal situation. However, the announcement does not end the growing battle of nerves between various parties and factions in Algeria over whether 81-year-old Bouteflika should present his candidacy a new term. 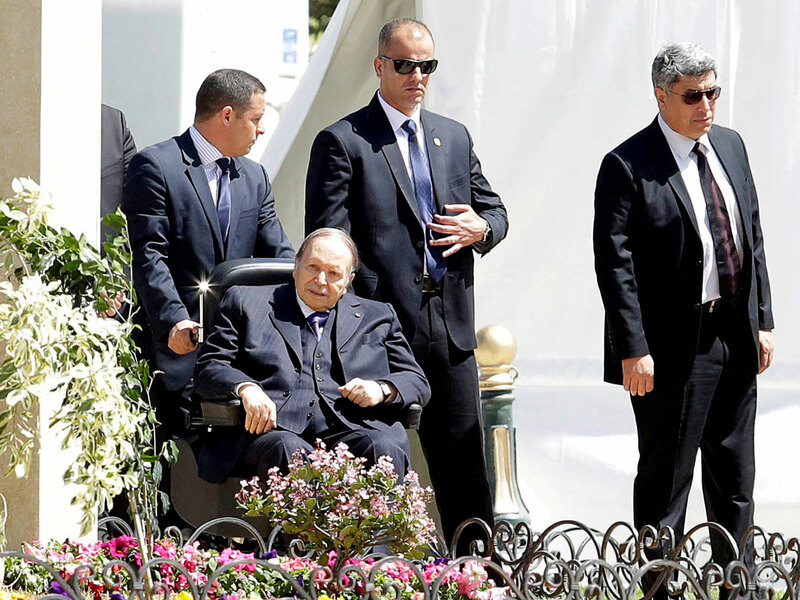 Algerians have been wondering whether their president, who has been weakened by a stroke he suffered in 2013 and uses a wheelchair, will seek a fifth term in office despite his age and partial paralysis. Bouteflika who was re-elected in 2014 despite the stroke is credited by supporters with saving Algeria thanks to a sound policy of reconciliation that brought extremist insurgents back to civilian life and put an end to the deadly acts of terror in the 1990s. Supporters also heap praise on him for protecting the North African state from the chaos that resulted from the so-called Arab Spring in some Arab countries, mainly Libya and Syria. However, as Bouteflika has not announced anything about his intention, and amid the ominous uncertainty, several political parties and senior individuals, including recently a retired military general, have penned opinion pieces or made statements to the media, offering suggestions about what should be done to end the crisis. With some suggestions calling for the military to play a proactive role, the army reacted by insisting that it wanted to keep its neutral stance in the political conflicts and to avoid being dragged by political forces or by independent individuals into playing a prominent role in the country’s political transition and putting an end to the ominous miasma. “At the approach of the presidential elections, some individuals, driven by excessive ambitions and by devious intentions, are trying, by all means, including the media, to prejudge the positions of the military institution vis-à-vis presidential elections and even arrogate to themselves the right to speak on its behalf,” the army said in its statement. These individuals seem to have forgotten that the army’s “immutable principles” make it an institution at the service of only the Algerian people, who sees in it “the unshakable shield” that protects Algeria against all dangers and ensures serenity and tranquility, the army stressed. “ It is all the more regrettable, that such acts are by some retired military staff who, having served for a long time in the ranks of the army now join occult circles for the sole purpose of satisfying excessive personal ambitions, which they could not achieve within the institution,” the army said. Algerian energy expert Reghis Rabah decried the mess around the next elections and said that people should instead focus on engaging in genuine debates that would help change ideas and approaches. He warned that Algerians in today’s world had a new character and faced different challenges. “The Algerians who had been asked for more than 35 years to contribute to building a fair society that would provide him with wages, housing and well-being were overnight asked to rely only on themselves, often in unfair condition. They are now unfortunately faced with a social stratification that is completely turned upside down,” he wrote for Le Quotidien d’Oran.